The fourth concert of the Village Concert Series will feature the Boston Arts Academy Spirituals Ensemble, the exciting young choral group that took first place in the first season of Sing That Thing!, WGBH new choral competition in 2015. You will love the energy and expertise of this group, performing for the first time on Cape Cod. Season One videos of the competition can be seen here! 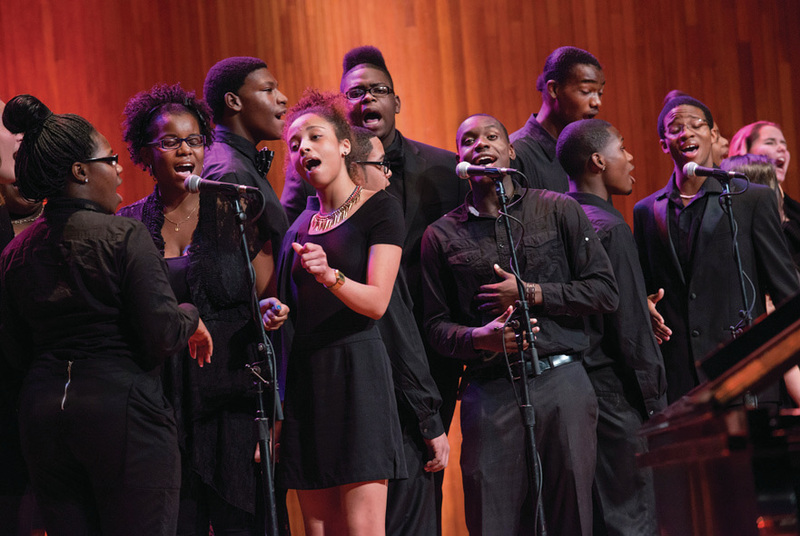 The Boston Arts Academy Spirituals Ensemble explores the evolution of the African-American sacred choral music tradition. This auditioned group of 30 sophomores, juniors, and seniors at Boston Arts Academy (BAA), the city's only public arts high school, is directed by Music Department Co-Chair Tyrone Sutton. In addition to their 2015 victory on Sing That Thing!, the group won a Gold Medal at the Massachusetts Instrumental and Choral Conductors Association Festival. They have performed at numerous community events, including for Governor Charlie Baker and Boston Mayor Martin Walsh this year. Several members of the ensemble have majored in music in college and have received full scholarships at leading music colleges including Boston University, Berklee College of Music, and the Hartt School of Music. To learn more about Boston Arts Academy, please visit www.bostonartsacademy.org.